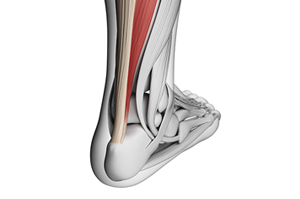 Achilles Tendinopathy is commonly known as Achilles Tendonitis. Achilles Tendinopathy is a breakdown in the Achilles tendon, with small, focal lesions within the tendon without an inflammatory response. This degeneration means that the Achilles tendon does not possess its normal strength and may be liable to rupture with continued sporting activity. The key to recovering from Achilles Tendinopathy is in trying to elicit healing without overloading the tendon. Research suggests that recovery is optimised by using a very gradually progressed eccentric strengthening programme for the Achilles tendon and calf muscles under the supervision of our senior physiotherapists. These exercises help the Achilles tendon to adapt and get stronger. Contact our Dinnington, Chesterfield or Doncaster clinic for an assessment with our specialist physiotherapists.